Showing results for tags 'product of canada'. Thought it would be appropriate for the first post in the Canadian section of ADI forum to be about the basic requirement associated with "Product of Canada" claim on spirit labels. Based on information available on CFIA website, less than 2 per cent of the ingredients used in making the spirit can be imported from outside of Canada if one is to use "Product of Canada" on their label. 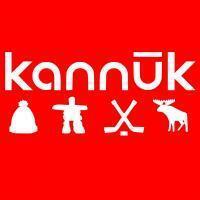 Here is a link to source of info: http://www.inspection.gc.ca/food/labelling/food-labelling-for-industry/origin/eng/1393622222140/1393622515592?chap=5 My Kannuk vodka will be made from 100% Canadian ingredients, therefore not an issue for my vodka. However, if I was to make a spirit from Bananas for example, and we don't grow bananas in Canada, would you then indicate on the label "Made in Canada from imported ingredients"? Or would you just indicate "Distilled in Canada"? Curious what others know about this topic.